Got a question? Come on by! What’s an AMA? What’s a Reddit? www.Reddit.com is a popular website where you can subscribe to ‘subreddits’ to learn more about specific subjects. There’s subreddits for everything, from /r/games for general games related content, to /r/robocraft for robocraft discussions and images, to /r/aww for pictures of adorable animals. AMA stands for Ask Me Anything. It’s a popularised concept and subreddit on Reddit where people can offer to answer questions presented by those who may be interested. Where can I find the AMA? 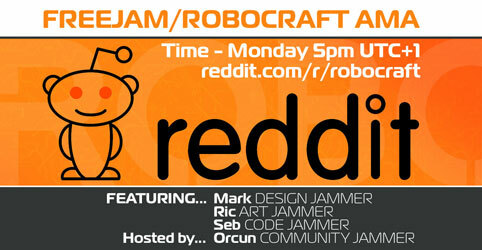 The AMA will take place on www.reddit.com/r/robocraft which is the Robocraft subreddit. We’ll add a link to it in this post once it’s live, as well as making posts on Steam, Twitter and Facebook. What time is the AMA? Question answering will begin at 5pm UTC+1. However the thread will be started 30 minutes before that to allow for some questions to build up. Who will be answering the questions? We will have MarkDesignJammer, SebCodeJammer and RicArtJammer with us, so we’ll have everyone necessary to answer all types of questions. The AMA is being organised by myself, OrcunCommunityJammer (a.k.a. Drognin) so I’ll be present too. Pretty much anything you come up with. 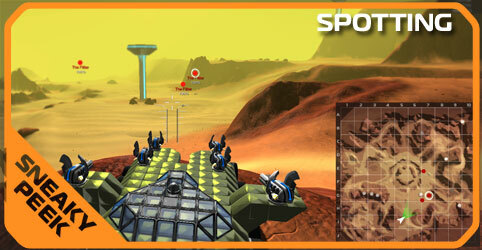 Our opinions on certain parts of Robocraft. Why we made certain decisions. About Freejam / the team. Even questions about the games industry or the types of people we are. Feel free to put a question about the type of espresso SebCodeJammer drinks. There’s a lot of varying experiences and backgrounds within the team so there’s a whole lot of things you could ask. Generally the only thing we want to avoid discussing is spoiler material about upcoming releases. However you can still ask general questions on whether we intend to implement general functionality. So, “Is XYZ in the next release?” won’t be answered, but “Do you intend to implement custom key-binds?” would. Hopefully we’ll see you then! 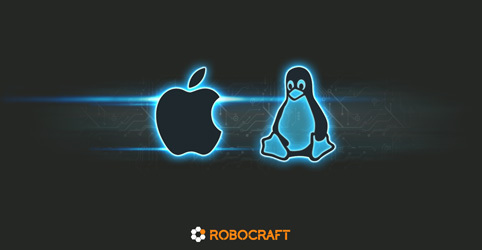 Mac and Linux Versions Now On Steam + More! The majority of our time was spent preparing the Mac and Linux launches, but we managed to squeeze in a few extra improvements to the game at the same time which are listed below. 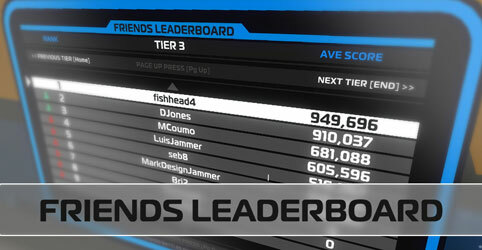 With the Mac and Linux support done, Freejam now gets head down and focused on our next launch. The next one will be MAJOR, MAJOR, MAJOR!!! 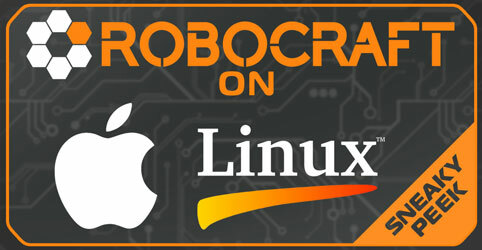 Robocraft brings pFLOPS to the Mac and Linux operating system. Launching at 12:00 UTC+1 Thursday 4th September 2014. Sneaky Peek: OS and Leagues and Megabots oh my! Something for everyone. 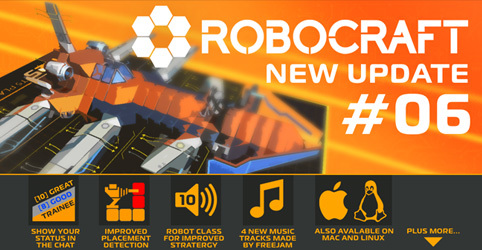 New OS’s, ranked leagues and of course, megabots with decimating doom cannons. Enjoy! We have completed the work to get the Mac and Linux versions up and running and they are in test now and will launch very soon via Steam. Everyone has seen them. The guy who put his Rail guns too close together, or the guy that overlapped the EP or Thrusters to create uber armour, or the guy who managed to put cubes in front of the gun with the barrel poking through. We’ve reworked the way that the placement collision detection works so this is not possible. Overlapped cubes will be coloured red so you can tell where you have to tweak your Robot. If you have used placement glitches to build your current Robot, the new system will ask you to tweak your Robot before allowing you to enter battle. Be warned. It will not be usable after midnight on Monday 25th (BST). First we’d like to apologize for all the server trouble over the weekend. The insane number of users online completely broke Robocloud at times and it just could not cope. When it broke, users couldn’t login, or got other issues such as broken lobby’s, infinite ‘connecting to server…’ messages etc. We are working hard with our service providers to solve these issues and to increase the power of the servers. 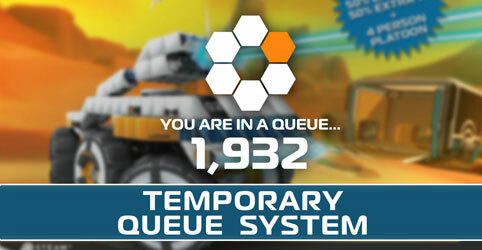 In the meant time we have put in place a temporary (and it will be very temporary) queue system that will kick in when the number of users online reaches a point that will cause the servers to implode. Once we’ve solved all this we will give out some promotional codes. The ‘red tag’ system has been overhauled to allow more stealthy play, and to allow for more team play by introducing a new ‘Spotting’ system. Acknowledging the frustration from the users surrounding the Rail Cannon being so powerful, and users who get frustrated with repeated nerfs we’ve made some changes to the Rail Cannon game mechanics. Our main objective was to maintain the awesome power of the Rail Cannon so the ‘fear of Rail’ remained, whilst making playing against Rail Cannon’s a bit more interesting and fun. You can now purchase Robots that have been designed by Freejam using Galaxy Cash. Or, you can copy the designs on your own Robots if you wish. Once the Robot is purchased, the cubes are yours, so you can keep it, dismantle it, modify it, whatever you wish – just like a Lego kit. *If you do not have enough CPU to house the Robot you will get a temporary boost. But as you level up, this boost will be removed. It is NOT possible to get extra CPU over players who do not buy a Robot, the 1511 CPU max cap applies to everyone. Ranked Match or Standard Match? The ‘Battle Timer’ is back (anyone remember it?). This time it’s here in a new guise, as the rhythm of battle sways between ‘fun time’ and the time when you really need to hunker down and get serious. Bring it on!!! STANDARD MATCH or RANKED MATCH? – 10% nerf of Rail Damage – we feel that the Rail Cannon gameplay needs to be improved. We will be working on this during next week. Thanks for all the feedback on this. – PLATOONS: We know that these are bugged. We are working hard on a solution to fix the long queue times you are experiencing when in Platoons and the times when it breaks and you do not get games. We are hoping to release a hot fix on this in the next couple of days. 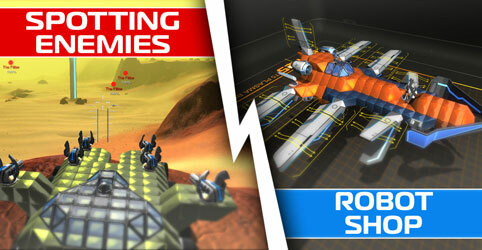 The way you spot enemies and reveal them to your team mates is changing, bringing a new level of team play to Robocraft!!! 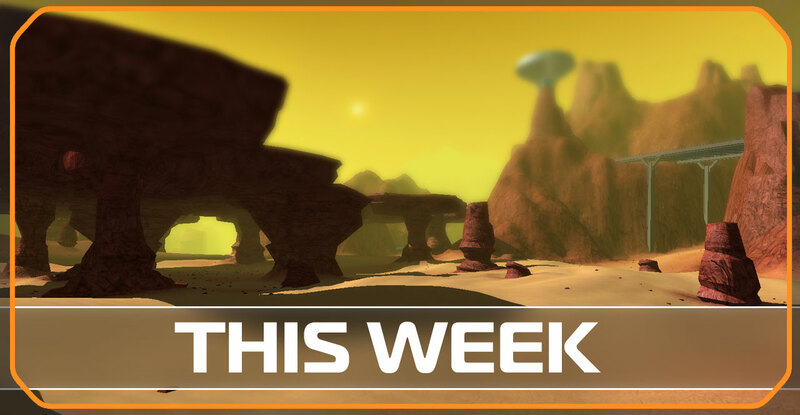 This weeks update includes some cool new goodies and some significant changes to the game so we wanted to let you all know what’s coming.